Supports a second LAN port to switch signals together (Teaming Mode), which increases bandwidth. Data encryption via 128-bit AES. The Agility IP-Based KVM Extension system transmits Dual Head DVI-D video, USB, USB2.0 and audio signals via an Ethernet local area network (LAN). Send signals up to 330 feet (100 m), or even farther with the addition of network switches. Use the Agility Controller to enable remote secure configuration of transmitters and receivers via a Web browser. The Agility system offers a flexible topology of switching and extension. 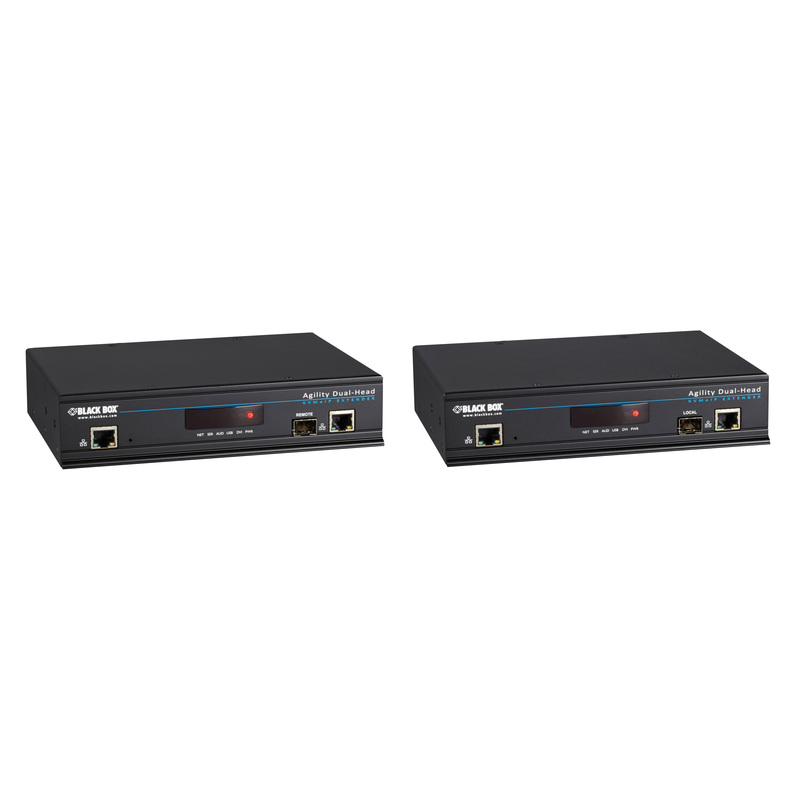 Use it in point-to-point KVM extension, to multicast HD video, or for single-target sharing. Agility transmits pixel-perfect video with no-loss compression, minimizing bandwidth use while maximizing user experience. Maximum resolution is 1920x1080. The KVM Over IP Matrix, Dual-Head DVI-D,USB 2.0,KVM Extender Kit comes with a standard 2 Year Double Diamond™ Warranty (Standard) already included.